Islamic finance is going through a considerable amount of change as the global economic landscape undergoes a tremendous amount of change. Anouar Hassoune examines the role of Islamic finance in places like France, Malaysia, the GCC and state of play in the Sukuk market. 1. Why the recent rash of new Islamic bank start-ups? 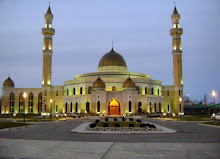 There are many reasons why new Islamic financial institutions (IFIs) have been mushrooming across the board: i) microeconomic theory says that a booming and profitable market naturally attracts new entrants because excess demand needs to meet additional supply; this is a market driven by demand now; ii) financing needs in the retail sector are far from being optimally served by the banking industry, especially in the Arab countries of the Muslim universe: retail banking in the Middle East was discovered in the 1990s and there's still a lot to do, especially in the mortgage arena, where IFIs can offer attractive solutions; iii) governments have been very supportive of the Islamic financial industry, mainly for two reasons: one is symbolic and consists of sponsoring one or more institutions to show some form of state proselytism, and the other is purely economic, as IFIs are a powerful means to fund large infrastructure needs across the MENA region. Asset-backed, infrastructure, and project finance is naturally in line with the principle of Islamic finance, just like mortgage lending. 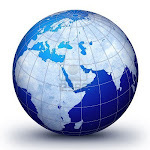 Therefore, it’s natural that we’ve recently seen newcomers like Masraf Al Rayan in Qatar, Noor Islamic Bank in Dubai, Ajman Bank in Ajman, Al Hilal Bank in Abu Dhabi, or Al Masref in Bahrain, among many others, join the industry. 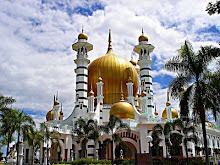 In Asia, especially in Malaysia, conventional banks that have been offering Shari’ah-compliant products for years through Islamic windows, are now establishing specialised Islamic subsidiaries. 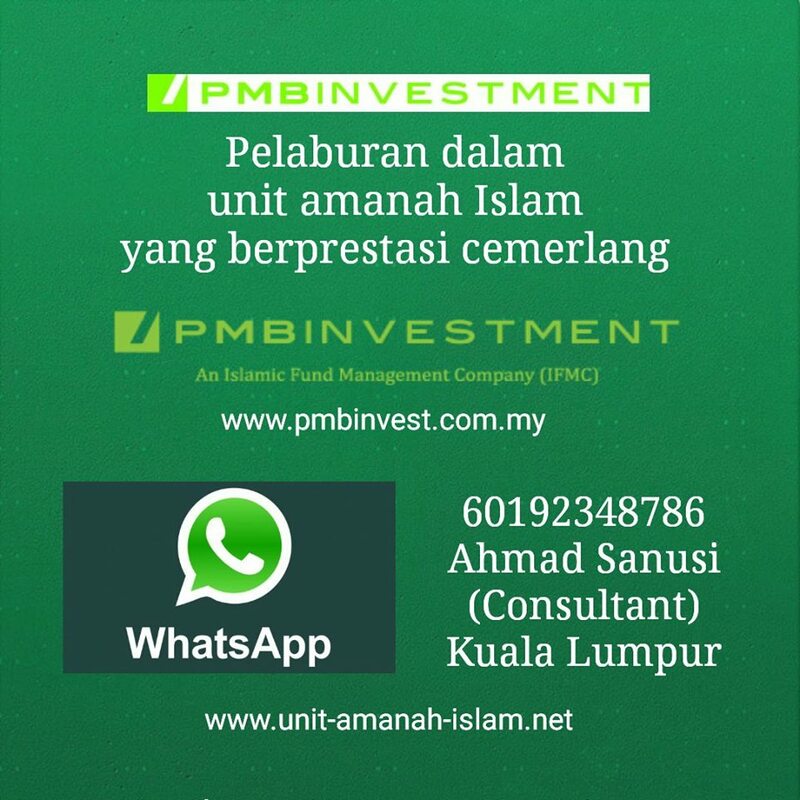 This provides more visibility and clarity to the whole banking market, while contributing to the doubtless success of Islamic finance in the country, following more than two decades of government support to such an alternative financial model now controlling more than 15 per cent of the country’s banking assets. In addition, there are a countless number of new Shari’ah-compliant non-bank financial institutions, like investment boutiques, specialised entities, or pocket intermediaries. This also indicates that Islamic finance is not just about plain vanilla banking intermediation, consisting of capturing cheap deposits to recycle them into lucrative credit exposures, but is also characterised by increasing operating diversification out of pure lending. 2. Why are they getting bigger, at least judging by paid-up capital? Size matters in banking. 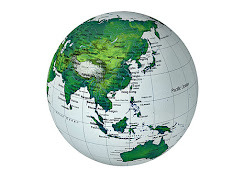 For a long time, IFIs have been niche players, but now they are part of mainstream finance, following a path of internationalisation, without yet being a global phenomenon. Growing banks need more capital, precisely to prepare for future growth. In other words, increasing capital today means that shareholders and managers within the Islamic financial industry genuinely believe the future is bright. This alone will drive growth higher, like a self-fulfilling prophesy. But there are other reasons why capital is rising at IFIs. 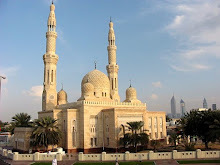 Shari’ah-compliant banks have discovered new territories and started exploring new horizons, both in terms of operating diversification into new business lines (especially corporate banking, project finance, and investment banking) and in terms of geographic expansion (especially in Muslim Asia, Africa and Europe). Therefore, IFIs have had the tendency to take on more risks, which they have not been used to managing, and which in turn necessitates building fortress balance sheets with strong capital buffers. Theory says that capital is there as a buffer against unexpected losses, and that's exactly what IFIs do. Finally, capital is a long-term resource, serving as a way (albeit an expensive one) to curb the impact of a fairly recent phenomenon: increasing maturity mismatches between longer tenor assets and still short dated liabilities dominated by customer deposits. In the future, the capital structure of IFIs may gradually evolve. As core Tier 1 capital is expected to remain an expensive resource, like any other bank, IFIs will increasingly be attracted by the many attractive features of Tier 2 capital, both for incrementally reducing maturity mismatches and further strengthening regulatory capital. 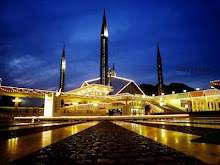 However, it is now perfectly clear whether subordinated debt would be widely approved by Shari’ah scholars, with some noticeable exceptions, especially in Malaysia. 3. What are the differences between the newest Islamic banks? Are they duplicating themselves? The first difference we see is the nature of the new IFIs shareholders: their respective governments. For example, Alinma Bank in Saudi Arabia, Masref Al Rayan in Qatar, Noor Islamic Bank, among so many others, have all been created by their respective governments. It is as if governments do not want to see the Islamic banking industry over-dominated by the private sector, in order to keep the whole thing under control. The main risk that any IFI and the industry at large face is reputation risk. In that sense, if governments have an increasing share of ownership in IFIs, the risks of consumers perceiving an IFI as insufficiently compliant with Shari’ah is somewhat mitigated. Another element suggests that these new banks are not just the clones of their predecessors: many new IFIs have clearly made their ambitions public; with very large capital bases right from inception, their vocation is immediately international. 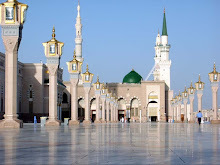 The global potential market for Islamic finance is conservatively estimated at $4 trillion whereas the actual size of the market is $700 billion, or a market share of 17.5 per cent, which means that there is still more than 90 per cent of the market to capture. The larger newcomers have that ambition, beyond the natural borders of their respective domestic markets, into new territories where Islamic finance is not yet entrenched. Their plan is also to capture part of the spectacular infrastructure development plans in the Persian Gulf region, which is expected to amount a few trillions over the next decade. 4. Do you think they will all succeed? Which banks should have the best chances? While differences among IFIs will remain, as this is already the case, we also believe that overall the Islamic financial industry has a bright future. As we've highlighted on many occasions, there's an indirect but powerful link between the Islamic financial industry and the performance of the oil market. So long as oil remains expensive, which is our base-case scenario, Islamic banking and the Sukuk market will keep on growing successfully. 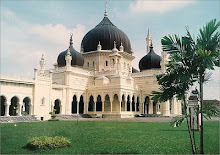 In addition, contrary to a couple of decades ago, Islamic banks now benefit from the tremendous stabilisation effect of their retail platform at home: stable and lucrative, domestic retail entrenchment provides IFIs with a stream of recurring, predictable income that mitigates the risks of cyclicality in new markets and business lines. Finally, capital is not a scarce resource in oil-exporting economies, especially when shareholders are governments. Financial flexibility and support are there. 5. Why isn’t there more consolidation of Islamic banks? In many markets, consolidation comes when the market matures, i.e. when business opportunities become scarce, products start to be commoditised, their price fall, margins are under pressure, and so there are incentives to curb costs with greater volumes and bigger sizes. Consolidation also happens in markets where problems occur, and weaker troubled banks are acquired by more resilient robust players. None of these scenarios is happening in the Islamic banking universe. In addition, shareholders, be they governments, ruling and merchant families are not eager at all to lose control over banks, and do not view the dilution of their shareholding as a positive. Therefore, if consolidation happens in the industry, it will not be at home, but rather between institutions belonging to two distinct areas, for example a Gulf-based IFI acquiring a small Islamic bank or non-Islamic bank (to convert) in another space. Examples are limited but interesting: The National Commercial Bank (a quasi-IFI in Saudi Arabia acquiring Türkiye Finans in Turkey), Abu Dhabi Islamic Bank acquiring National Bank for Development in Egypt, Kuwait Finance House trying to buy RHB Islamic Bank in Malaysia. As we’ve highlighted on a number of occasions, fragmentation is a fact of life, totally natural in a growing and successful business, and a positive as far as competition and innovation are concerned. 6. What are Moody’s main expectations as far as the next future trends and challenges of global Islamic finance? Modern Islamic finance is a recent phenomenon: it is only 30 years since the first fully fledged IFIs emerged, and the market for Sukuk was virtually non-existent as recently as the beginning of this century. Today, the Islamic financial industry is worth $700 billion of assets. The market for Sukuk alone accounts for $100 billion. The current excess liquidity prevailing in Gulf economies has fuelled both sustained demand for the products supplied by IFIs and the booming expansion of Sukuk, while also contributing to creating a very close link between Islamic banks and what remains to date a relatively illiquid compartment of the bond market. The Islamic financial industry remains very much intermediated, in other words more widely dominated by financial intermediaries capturing deposits to recycle them into on-balance-sheet asset portfolios than by disincarnated, de-territorialised and virtual capital markets. Simultaneously, Islamic finance is becoming increasingly “internationalised”, but essentially remains a collection of disseminated and still weakly coordinated local operations. In this context, Moody’s expects more complexity and sophistication in both the Sukuk and Islamic banking markets, but also views prospects across the industry as very positive. • Complexity and diversity: Sukuk structures are evolving rapidly, with an important degree of innovation. The market is increasingly moving away from the “lease and lease back” Sukuk structures of the first generation and towards “structured” Sukuk. Underlying assets eligible for Sukuk schemes have witnessed increasing diversification. The number of issuers has also grown, both within the Muslim world and beyond its natural borders. • Issuance volumes and widening gaps in terms of issuer creditworthiness: The volume of the Sukuk market should continue to grow rapidly. Two distinct trends have emerged: a series of deep domestic markets, like in Malaysia and Bahrain, and a global Euro Sukuk market where securities are listed on international exchanges. As regards the ratings on Sukuk, the market is already characterised by wide diversity, as almost all the rating spectrum, from low investment grade to Aaa, is now represented. • Securitisation, structuring and subordination: We expect future structuring of Sukuk to incrementally move towards Shari’ah-compliant securitisation, with unsecured “asset-based” Sukuk increasingly complemented by secured “asset-backed” transactions. Thanks to the constant development of securitisation and credit repackaging in emerging Muslim countries, asset-backed Sukuk should continue to gain market share. Subordinated Sukuk should enjoy more success because IFIs will need to manage their funding continuum and regulatory capital more proactively, and subordinated Sukuk offer IFIs the ability to strengthen their Tier 2 capital. • Liquidity: The more liquid the Sukuk market becomes, the deeper, more disintermediated, and efficient Islamic capital markets will be. 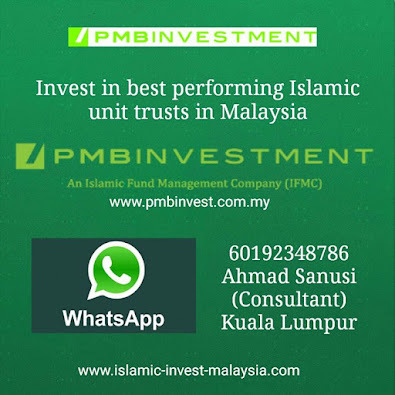 New classes of institutional investors will have access to this market for asset allocation, and start the gradual process of building an Islamic financial industry… without Islamic banks. • Geographic diversification: IFIs should continue to generate high profits, reflecting the strong growth prospects of the retail market across the Muslim world. Based on their robust retail platform, IFIs should further pursue their internationalisation process. 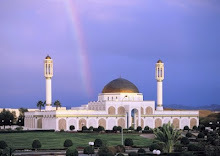 Islamic investment banks are permanently looking for untapped value in the “new” emerging countries, and the recycling of petrodollars in high-yielding investment funds across markets with still limited visibility, in the Middle East, Africa and Asia, has an identified role within modern Islamic finance. 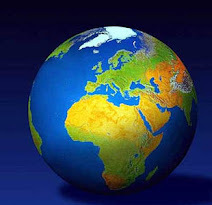 • Operating diversification: IFIs have become far more aware of the necessity to better diversify their asset portfolios. The growth of the Sukuk market should help widen the range of asset classes eligible for IFIs’ investment. IFIs have also started to explore new business lines: mortgages could pave the way for more active Shari’ah-compliant securitisation; and Islamic investment banking is attracting wider audiences. • New entrants and competition: Competition is set to become more intense as many new entrants get up to speed. Bank consolidation is not on IFIs’ agendas, and we expect Islamic banks to tend towards organic growth. The Islamic banking market still appears very attractive in a number of Muslim countries where IFIs are not heavily entrenched, like North and sub-Saharan Africa, Asia, and Continental Europe. • De-correlation with oil prices: the almost mechanical link between Islamic banking and oil prices, via the recycling of petrodollars in IFIs’ home countries, should gradually decline. The more IFIs will their asset portfolios, the more they will be able to deploy their alternative business model in an autonomous way, without necessarily remaining dependent on the oil liquidity that prevails in their home markets. This is ultimately a long-term perspective, but the dynamics are definitely under way. 7. 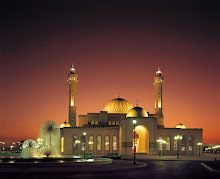 The issue of Islamic banking and finance becoming more international, if not global, is important. In particular, Moody’s has recently commented on the industry’s strong prospects in France, where the French Minister of Economy and Finance has just announced its support for Islamic finance. Is this the emergence of Islamic finance in this country? Definitely. The fact that the French political and governmental authorities have at last endorsed the value of the Islamic financial concept « à la française » constitutes by itself a necessary condition for this Shari’ah-compliant financial industry to deploy itself more comprehensively on the French territory. In so doing, the French Minister of Economy and Finance has been supported by the conclusions of the work carried out by the commission put in place by Paris Europlace, a French financial think tank. This commission has conducted an in-depth study on the necessary technical adjustments in the French regulatory and legal arsenal capable of reducing the tax, legal and regulatory impediments, which are currently constraining the emergence of Islamic financial solutions in France. That said, both the recommendations of the Paris Europlace’s commission and the words spoken by the Minister appear partial: indeed, only wholesale Islamic finance has been mentioned, studied and commented upon so far, i.e. the emphasis has only been on the financial activities conducted by investment and corporate bankers, including incentives to French entities for issuing Sukuk. By this, one should understand that at this stage, priority is only given to corporate issuers, i.e. private-sector companies. 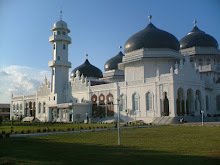 In almost all the countries where Islamic finance has successfully become part of mainstream business, the State has always provided clear and manifest support to that industry, not only by creating the optimal infrastructural conditions, but also by taking visible economic and symbolic initiatives, for instance by itself issuing sovereign Sukuk. France could be the second issuer of Aaa-rated Sukuk, after the Islamic Development Bank (IDB), and the first sovereign issuer of Aaa Sukuk, an asset class that does not exist at this point in time. Ultimately, although government support --in words or facts-- is an absolute necessity, it’s not sufficient per se to allow the emergence of a French-style Islamic financial industry of material size and reach. 8. How long would it take, and with what amount of effort, for Paris to catch up with London’s achievements so far in Islamic finance? We are still wondering whether this is truly France’s ambition, and if this is really the case whether such a plan makes sense. Paris indeed aims at competing with London as a European hub for Islamic finance, and through this making Paris more attractive to international finance, including its more alternative, if not exotic, compartments, like Islamic finance. This is part of a broader scheme to modernise the French economy, bringing more capacity for innovation, and more flexibility, and simultaneously on reducing talent haemorrhage, especially in the field of the financial industry. Consequently, the French strategy is not to naively imitate the U.K., which has obviously taken some advance in developing an Islamic financial market on its own territory. The task is actually harder for France, as a new and late comer to the ballgame, because this means France needs to invent its own way of providing Shari’ah-compliant financial services to its Muslim (and non-Muslim) population, as well as beyond its borders. 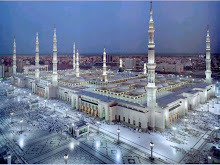 Reducing legal land tax constraints will need a finance law, followed by an important effort on the front of communication towards those Islamic countries France intends to economically and financially seduce through its specific offering, i.e. essentially the Gulf petro-monarchies and large economies of Muslim Asia. Then, heavy work is expected before at least one onshore Islamic bank is launched in France, which could contribute to serve the six million French Muslims, while making it attractive to the rest of the community. Islam and Shari’ah are words that do not immediately have positive connotations in France today; when the word "finance" is added to “Islamic”, in the middle of one of the most damaging financial crises of the past three decades, one can easily understand why many French citizens might be legitimate to question the overall concept, its credibility, and its viability. This is why a large amount of patient pedagogy is needed in a country where “communitarism” is not considered as a realistic option, and where the principle of secularity is sacred. Therefore, Islamic financiers attracted by France will have to prove that Islamic finance is not a community thing, and will not endanger the dogma of the strictest religious neutrality. Islamic finance will need to be perceived as an ethical alternative to modern conventional finance. 2010 appears as a credible horizon for Sukuk to be issued out of France, as well as for the inauguration of the first French IFI. French demand for Islamic banking and finance is being quantified as we speak, and the first results of such studies are expected to be made public, at least partially, probably by the end of 2008. The speed with which Islamic finance in France will move from a latent phenomenon to a visible market will largely depend on the conclusions of such reports, which have been ordered by Middle Eastern institutional investors. 9. How do Islamic investors and financiers view and perceive the French market? Investors and financiers have much contrasted manners. 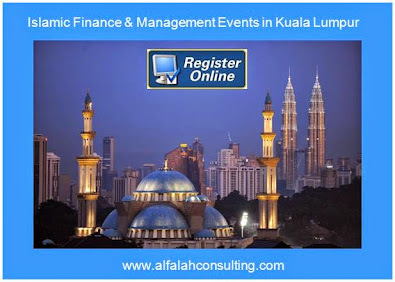 On the one hand, the Islamic financial industry –although still very young- has recently started a rapid internationalization process, from its two historical platforms of Malaysia and the Persian Gulf. Such a process is incremental from one geography to another, through an interesting phenomenon of “capillarisation”, which appears as spontaneous and natural: the Muslim populations living in the countries neighbouring the areas where Islamic finance is already well entrenched tend to get more interested in the products, then taste them, and finally tend to easily adopt them, when this is allowed by local regulators. This is exactly what happened in the Gulf countries, with the noticeable exception of the Sultanate of Oman, still reluctant to see its financial institutions offer Shari’ah-compliant financial services. 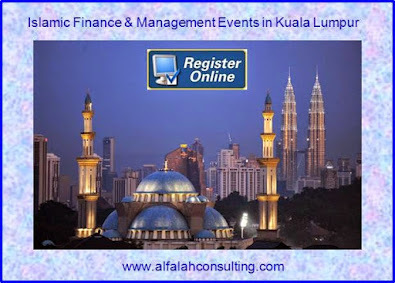 North and then Sub-Saharan Africa, Turkey, Muslim Caucasian countries, and the Islamic periphery of Malaysia constituted the first circle in which Islamic finance started to shine beyond the borders of its core markets. 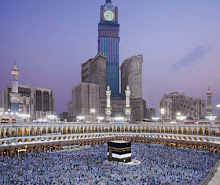 Next comes the second ring, that of the so called « mature » or « developed » countries: Islamic bankers and investors now naturally eye those places in the Western hemisphere where Muslim communities are important and visible, including obviously France. The French economy is well diversified, and home to industrial and services sectors considered lawful by the Islamic ethics. For instance, French companies are well established in the field of clean and renewable energies, a sector that is very attractive to Islamic investors. Furthermore, 10 per cent of the French population belong to the Muslim faith, which by itself makes France the largest potential market for Islamic finance in the West, capable of durably entrenching the Shari’ah-compliant value proposition in a more stable, predictable and mature environment. Finally, France shares a long, shared history with the Muslim and Arab world, in most cases full of friendship and common interests, despite a few gloomy episodes. Consequently, there are large common grounds between France and its Islamic economic partners, which are far from being limited to oil trade. France still conveys a very positive image in the Muslim universe. However, on the other hand, many of France’s existing or potential partners across the world’s Muslim community who hardly understand why French Muslims, five times more numerous than in the U.K., do not yet have access to financial solutions in line with their religious principles. In addition, France’s excessive emphasis on its sacred principle of secularity, supposed to be prevailing only in the public domain, not in private transactions, is still subject to a large amount of misunderstanding and confusion in the world of Islam, which also finds it difficult to conceive why Islam and Muslims form a subject that is so passionately debated in France. A consequence of this is that a relationship of mutual trust can hardly be built: one side fears new forms of disguised proselytism; whereas the other is tempted to consider that Islamic finance would be instrumented to recycle part of the oil wealth in France, at a time when Western economies face a serious liquidity issue. If the dialogue is set in such terms in France, then France would face the bitter evidence of the gap that puts it apart from Britain. On the contrary, if useless prejudgments are left aside, France may be in a position to welcome an alternative financial model capable of providing a renewed fresh dynamics to a profession that has been through some turbulence over the past year or so. 10. What’s the outlook for retail and wholesale Islamic banking in France in the short term? In the next twelve months, a number of initiatives are expected in Islamic banking and finance in France. After a subsidiary of Societe Generale launched a Shari’ah-compliant investment fund in the Reunion Island a few months ago, it is probable that capturing French Muslims’ savings in a Shari’ah-compliant manner will constitute a more visible niche market, through specifically designed lawful investment and placement vehicles. Furthermore, an increasing number of French companies are looking for alternative funding sources, at more attractive rates that those applicable on their traditional, conventional financing mechanisms: one of the impacts of the subprime crises was an obvious liquidity drought on debt capital markets, and consequently a widening of spreads, or funding costs. One of the very few places where liquidity is still widely available today is the group of oil-exporting countries, where a large number of Islamic investors are located. It appears that all the conditions and incentives are there for more active issuance of Sukuk by French companies. Several such Sukuk were indeed issued in the past, but in small numbers and amounts, and in the form of local issuances, i.e. not out of France itself. Today, it is increasingly possible to see Eurosukuk emerging out of France. Once the legal and tax impediments are neutralised, probably by the end of next year, it will become less penalizing to invest in France in a Shari’ah-compliant manner, especially in real estate. As prices prevailing in such an asset class seem to plateau, we could witness increasing interest of Islamic investors in French properties. In retail banking, the process by which an Islamic bank could see the light of day in France is expected to be slow. At the Second French Forum of Islamic Finance, which is expected to occur in late November 2008 in Paris, some conclusions of the first market studies on the potential for Islamic retail banking in the country are expected to be made public, providing very valuable information about the size and attractiveness of French demand. 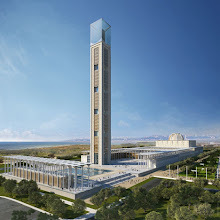 At this stage, should an Islamic bank be launched in France, it would probably take the form of a joint venture between an established French player providing the network and its knowledge of the market, and a Middle Eastern partner bringing the technical expertise and the religious legitimacy. However, it is unlikely that such an initiative will be carried out in the next twelve months or so. The academic world is also investing time and effort to contribute to inform students and professionals in particular, as well as the public at large. Publications and books, written in French, are now more numerous, and many others are to be released in the next few months. Education programs and courses are being designed and will be made more widely available in French universities and professional circles in the very near future. This will further contribute to enlighten the debate of accepting Islamic finance in France, as an ethical alternative and a bridge between worlds that would undoubtedly and mutually benefit from more active economic and intellectual interaction.